Fall is nearly here, and while in Grapevine that doesn’t mean temps will drop too much, there are still some steps to take to ensure your outdoor lighting is ready for the season. 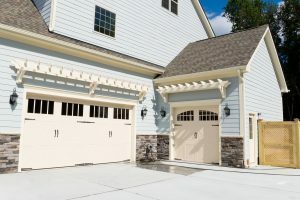 We mentioned in a previous blog about checking your exterior times to make sure they’re ready for the shorter days and the end of Daylights Savings Time, but today we’re going to cover cleaning your outside fixtures. At Passion Lighting, we want you to enjoy proper illumination all year long! 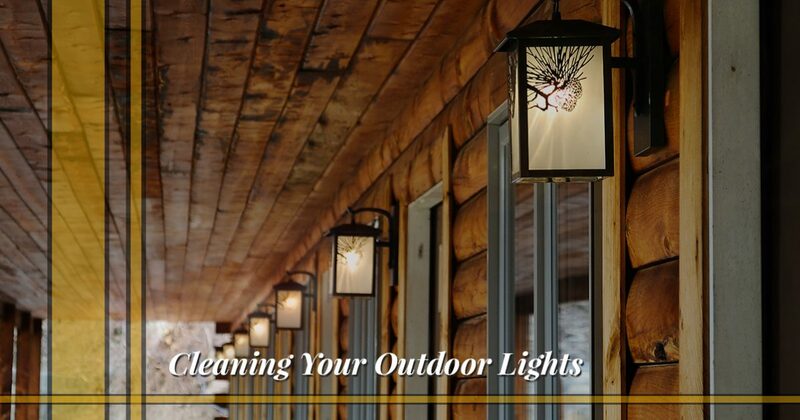 Outdoor fixtures can become covered in dust, debris, and the seemingly ever-present insect detritus. You may have cleaned out the globe of your porch light in the spring, but come September and October, those bugs have come back and this can obstruct and impact your fixtures’ lighting quality. Using plenty of care and caution, take out your stepladder (if necessary) and climb up to each fixture to check it. Gently remove the glass shade or cover, dump the debris into a trash bin, and wipe the both the inside and outside of the glass with a clean, dry cloth. If it’s particularly dirty or dusty, you can soak the glass in water with some mild soap. While the glass is off, check to make sure the bulb is still good and that it’s the proper rating for the fixture. You may have never changed the outdoor bulbs since you moved into the house, and you may find that the wrong bulbs are being used. Our team can help you find the right exterior bulbs that will last for years to come. There are a number of exterior LED options that are both stylish and affordable! Since you’re going to be relying on your outdoor lighting more during the fall and winter months, it can be a good idea to replace those fixtures that are broken and/or outdated. You may only need a few new lights, but adding them can make a big difference, especially in areas where you can use some extra illumination. We’d love to show you what we have in stock and help you choose the right lights for your home. If your home has multiple exterior outlets, taking a few moments to check them while you’re checking your lights can save you from headaches later in the year. If you have a multimeter (and you know how to use it safely), check to make sure your outlets still have power. This can save you from a surprise come November when you head out to hang up your holiday lights and realize that half of them are on while the other half are not. Working outlets also come in handy when you need to plug in your leaf blower in the middle of October. Your outdoor lighting is an integral part of your home’s design, and it’s important to check and clean it a few times a year. If you’ve put it off so far this year, take one day on the weekend to clean off your fixtures and check them for functionality. If you need new bulbs or fixtures, we’ll be here to help.